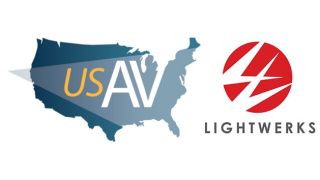 USAV has added a new pro AV integrator to its national network, LightWerks Communications Systems, Inc. LightWerks is headquartered in California with offices in Boise, Los Angeles, Portland, San Diego, and the San Francisco Bay area. For more than 20 years, LightWerks (www.LightWerks.com) has been designing custom AV solutions to meet the needs of corporations, educational institutions, and public-sector entities. It specializes in interactive technology, cloud-based conferencing, custom control systems, and high-quality AV products to improve efficiency, increase collaboration, and enhance presentations to help people communicate more effectively. USAV supports pro AV dealers of all sizes with two levels of membership. The USAV buying group provides preferred pricing and cash rebates for members buying products and using services from USAV partners. The integration services group provides the same purchasing power, and gives members the opportunity to participate in meetings and training where company executives from USAV integration companies and their teams can collaborate on business strategy, best practices, and market share.